Acupuncture is one of the oldest, most commonly used healing practices in the world, originating in China more than 3,000 years ago. 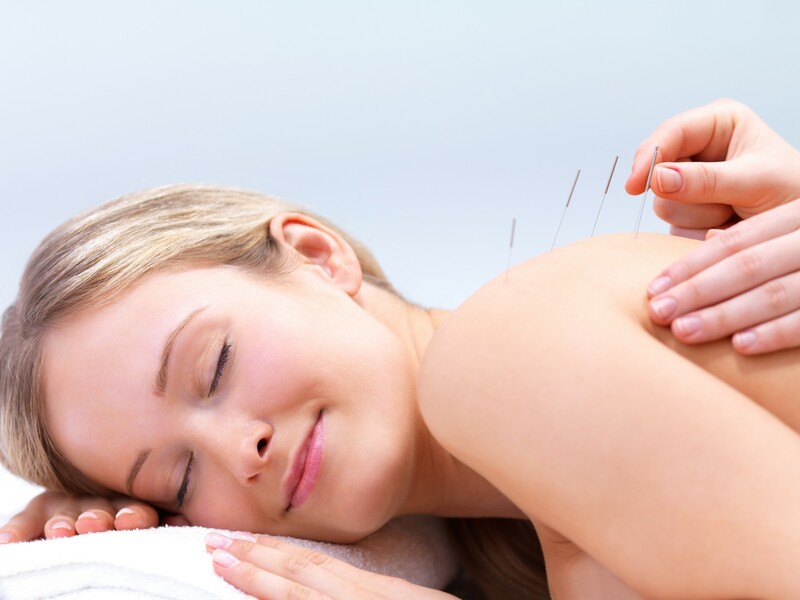 Acupuncture is a method of encouraging the body to promote natural healing and improve functioning. This is done by inserting fine gage needles, the size of a hair, painlessly at key points along the meridians to relieve pain and to correct disease and dysfunction. Acupuncture provides drug-free, natural pain relief, and treats the causes as well as the symptoms. It is a holistic approach to health, connecting body, mind, and emotions. We specialize in the treatment of Pain Control---headaches, migraine, frozen shoulder, lower back pain, sciatica, knee pain, arthritis, tendonitis, pinched nerves, fibromyalgia, neuralgia, surgical pain; Dysfunction---allergies, menstrual issues, menopausal problems, infertility, digestive disorders, urinary problems, paralysis, post-stroke rehabilitation, injuries; Emotional Issues---stress, anxiety, depression, insomnia; Addiction---smoking, alcohol, and other undesirable habits. 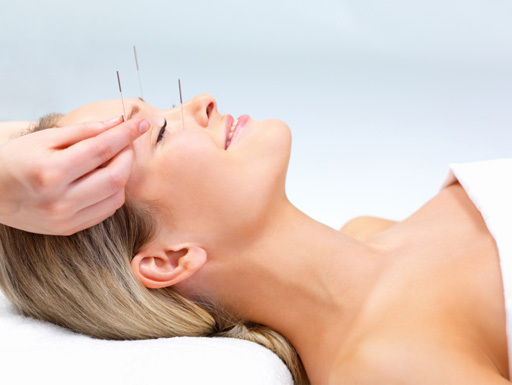 Over the past 3000 years, millions of people have been successfully treated with acupuncture. Today, acupuncture is practiced widely in Asia, Russia, and Europe, and it is now being used more and more in America. Chinese Massage is good for the metabolism. It helps the body to work properly, balancing the YIN (negative) energy and YANG (positive) energy through fourteen meridians in the human body. It also promotes circulation of Qi and activation of the blood. Using the techniques of Pushing (Tuifa), Rolling (Gunfa), Kneading (Roufa), Palm-twisting (Cuofa), Shaking (Doufa), Vibrating (Zhenfa), Gripping (Zhuafa), and Scraping(Guafa), Chinese Massage can quickly alleviate aches like headache, neck pain, shoulder pain and low back pain, and relax stressed muscles in the head, neck and back to increase range of motion. An Acupuncture treatment followed by Chinese Medical Massage(Or Cupping Or Guasha) will enhance the effect of your treatment. Cupping is a therapeutic method in which a jar or a cup is attached to the skin's surface to promote circulation of energy(qi) and blood,loosen muscles and sedate the nervous system. Cupping is used to relieve back and neck pain, stiff muscles, anxiety, fatigue, migraines, rheumatism, and even diminish cellulite. For weight loss and cellulite treatments, oil is first applied to the skin, and then the cups are moved up and down the surrounding area. 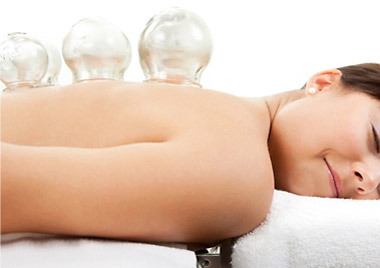 Generally, cupping is combined with Chinese medical massage in one treatment. Traditional Chinese Massage is good for the metabolism. It helps the body to work properly through balancing the YIN (negative) energy and YANG (positive) energy. It promotes the circulation of Qi and activation of the blood. Using the techniques of Pushing (Tuifa), Rolling (Gunfa), Kneading (Roufa), Palm-twisting (Cuofa), Shaking (Doufa), Vibrating (Zhenfa), Gripping (Zhuafa), and Scraping(Guafa), Chinese Massage can quickly alleviate aches like headache, neck pain, shoulder pain and low back pain, and relax stressed muscles in the head, neck and back to increase range of motion. Often body aches and recurring discomfort can be controlled if treatments are received reguarly, therefore our goal is a successful treatment now and prevention for the future. Guasha is a technique often used to promote circulation of energy(qi)and blood,used to assist in releasing pain and stagnation from the muscles and fascia throughout the body. Guasha can provide immediate relief from pain, stiffness, fever, chills, coughs and other symptoms. Guasha stimulates the immune system, detoxifies and de-acidifies, promotes good circulation, regulates functions and organs, removes blockages, and reduces pain. Generally, Guasha is combine with Chinese medical massage in one treatment. Approximately 2.5 million American couples suffer from infertility. The cause of infertility may stem from either partner. About 60% of infertility cases are due to female conditions, while 40 % are due to male conditions. In either case, it can be extremely heartbreaking. 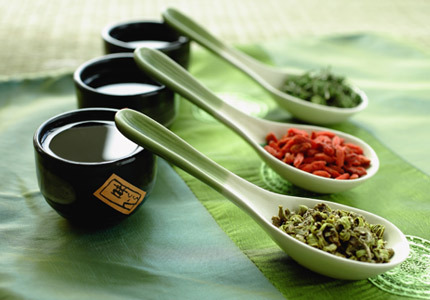 Traditional Chinese Medicine (TCM) offers hope to the couple by establishing harmony within the entire body. The benefit of TCM for infertility can be found in thousands years. Not only does TCM improve the probability of becoming pregnant and having a healthier baby. It also serves to enhance the function of the whole body. This holistic approach provides the key to unlocking unlimited potential in healing. In TCM, we believe conception will occur when Yin, Yang, Chi, and Blood in the channels are harmonized, when there is a peaceful Shen (spirit), and when kidney Jing (essence) is abundant and strong. Together, these aspects are the foundation of overall health and the root of conception. The causes of infertility are ovulation problems, endometriosis, tubal factor, hormonal imbalance, unexplained infertility, poor ovarian reserve function, thin endometrium, irregular period, poor egg quality, premature ovarian failure, amenorrhea, habitual miscarriage, abnormally shaped uterus, polycystic ovary syndrome (PCOS), male factor, etc. Acupuncture and Chinese herbal medicine provide a non-invasive, holistic approach to reversing infertility and has a surprising success rate of 65% among infertility in women. This is a very high number considering that many women discover the acupuncture rate in their search for infertility solutions. Acupuncture and Chinese herbal medicine can also be used in combination with other Western medical treatments, such as IVF and IUI to increase a couple’s chance of conception. In research 42% of patients that received both IVF and acupuncture became pregnant while in the IVF group 26% conceived. 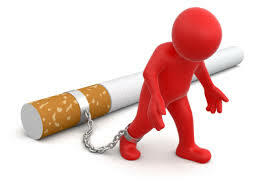 Most experts agree that quitting smoking is the single most important thing you can do for your health. More than 25 diseases are associated with tobacco use. It also raises the chances of developing emphysema or increases the risks of having a stroke by 30%. There is plenty of incentive to quit, but it isn’t necessarily easy. The good news is that acupuncture has helped millions of people to overcome their addictions and stay smoke-free. Acupuncture followed by ear pellets. This treatment helps to bring the body back into proper balance, reduces your cravings for tobacco, helps you to relax and calm your body, and finally helps to promote and rebuild a new physical and mental balance without the presence of nicotine. Acupuncture as an alternative approach to smoking cessation has a growing number of converts. In fact, acupuncture is often a court mandated treatment for drug addicts because of its ability to reduce cravings and alleviate withdrawal symptoms such as irritability, anxiety, and difficulty concentrating. This package focuses on jitters, cravings, irritability and restlessness; all symptoms about which people commonly complain when they quit. It also aids in relaxation and detoxification. Acupuncture followed by & ear pellets. This treatment can help control appetite, increase metabolism, and keep good energy when combined with a reduced-calorie diet and regular exercise. 1. Because acupuncture helps change brain chemistry, it changes cravings and can change emotional attachments to food. This helps eliminate eating for reasons other than hunger. Acupuncture also helps build willpower and determination, making sticking to a diet easier. 2. 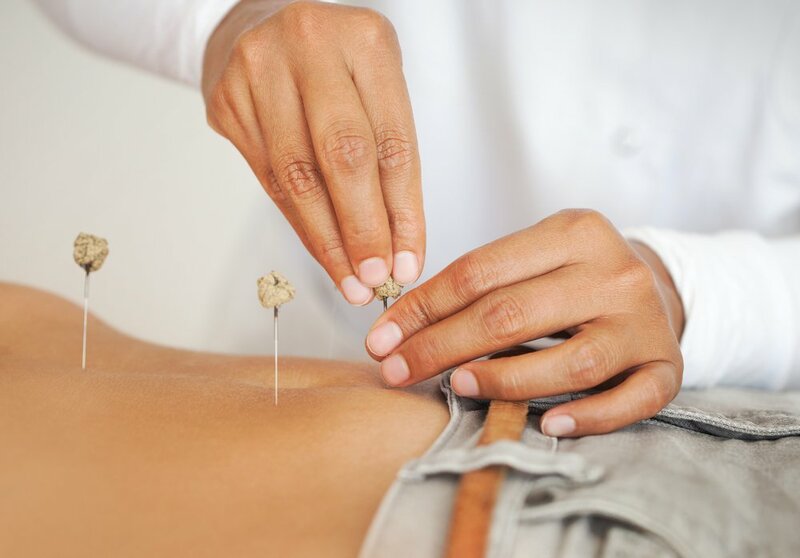 Acupuncture can improve metabolism and, therefore, can help a person burn more calories. 3. Acupuncture can improve the digestion/absorption of nutrients from food. This lessens the physical drive to eat. The combination of cosmetic acupuncture, face lift cupping, and jade massage stimulates the body's healing energies and increases circulation to improve frown lines, reduces wrinkles, lifts droopy eye lids, erases fine lines, softens scars, brightens the eyes, reduces sagging around the neck, tightens pores, improves hormone balance, increases blood, energy and lymph circulation, and leaves you feeling refreshed, relaxed & rejuvenated. Simultaneously, it improves the underlying conditions that lead to wrinkling. This package can improve blood circulation, relieve stress and give you more confidence to face each and every day. Please make an appointment with our Chinese Herbalist, Grace, for an initial free consultation. Need consultation by Chinese herbalist.